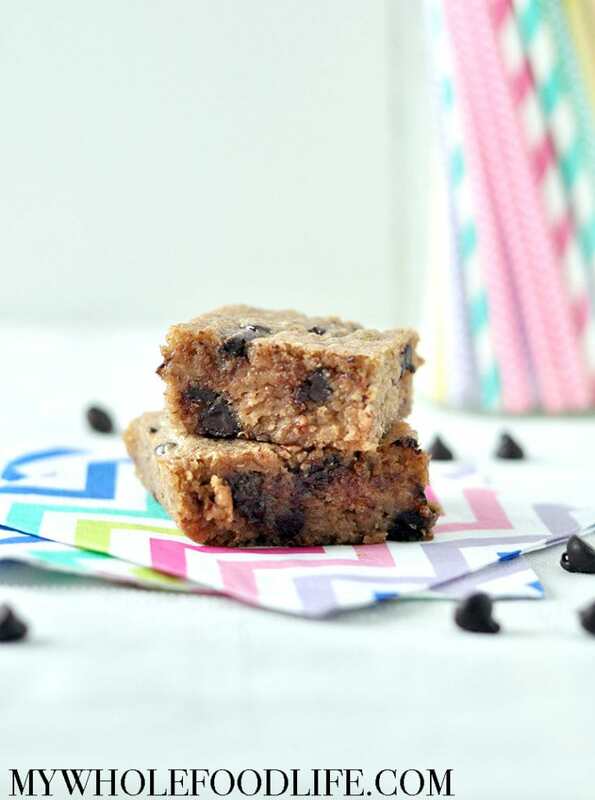 These Chocolate Chip Quinoa Blondies may be the best dessert I have made in a while. I already have several Quinoa Brownies and also Quinoa Cookies on the blog. I just never occurred to me to create a quinoa blondie recipe until now. I am so glad I did. This opens the door up to different varieties in the future too! These healthy blondies come with a boost of protein! Vegan and gluten free. Add all the ingredients, except the chocolate chips, in a blender . Blend until smooth. Add in the chocolate chips and pulse a few times to mix them up in the batter. Let cool before cutting into bars. Store in the fridge for best results. Enjoy! This looks like a great recipe. However, I cannot eat quinoa. It does not agree with me. I can eat millet, buckwheat, teff, rice, oats, etc. But not quinoa. What would be the best substitute? Please let me know. Many thanks and keep up the good work. Sweet! I will have to go check out yours too. Love the idea of doing a no bake one! What do i find this recipe? Melissa never steers us wrong, but this heat has me intrigued with a no bake version!! Thanks for all of your responses regarding my question. I will let you know the results whenever I try it. So delicious! I didn't make them in a square pan- can't find it right now- they weren't exactly pretty to look at. They were, however, super delicious to eat! Thanks for the recipe!